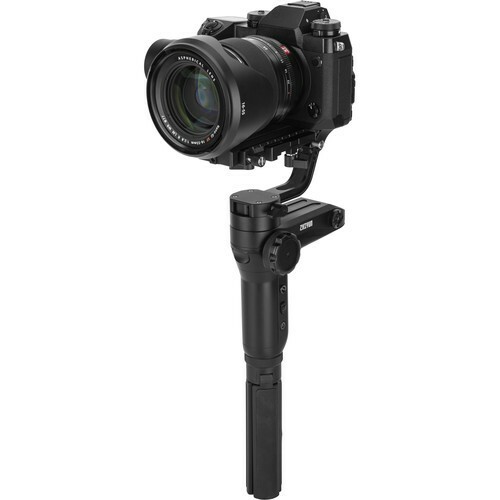 Zhiyun Weebill Lab is a handheld, lightweight stabilizer (gimbal) for both DSLR and mirrorless system cameras, with a versatile and ergonomic design that revolutionizes the entire appearance. You can either hold it upright or enter a handy underslung position by mounting the tripod as a handgrip. 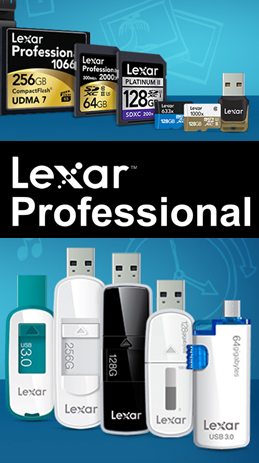 Thereby you can achieve the best and most effortless filming experience for any type of work.experience. 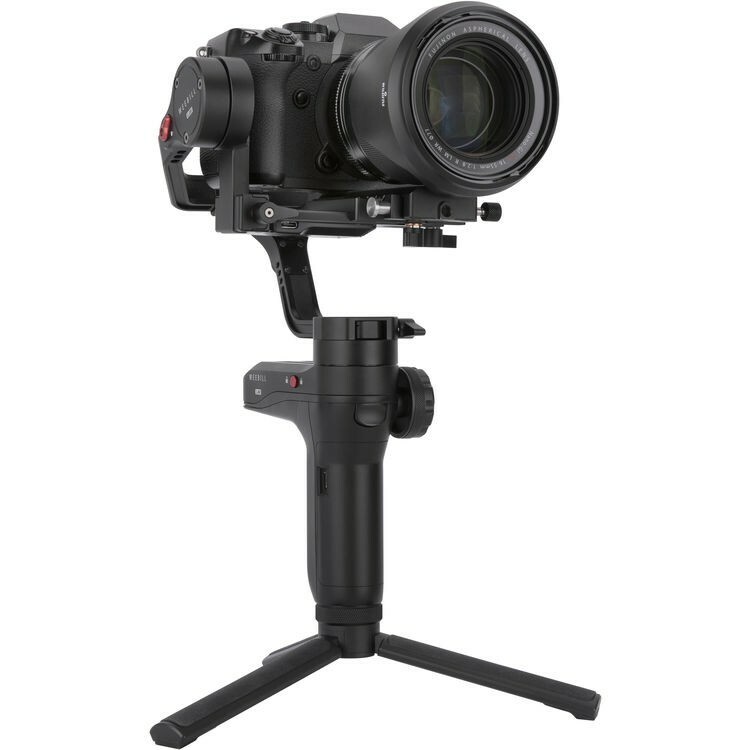 Weebill Lab is equipped with a robust, rubber coated handheld grip with built-in tripod that provides an excellent user experience and great versatility. But most important is the new balancing system 2.0 which has a latch on each axis that make it super easy to balance, even for beginners. You can lock certain axes while balancing the other and save the current setup for next time. 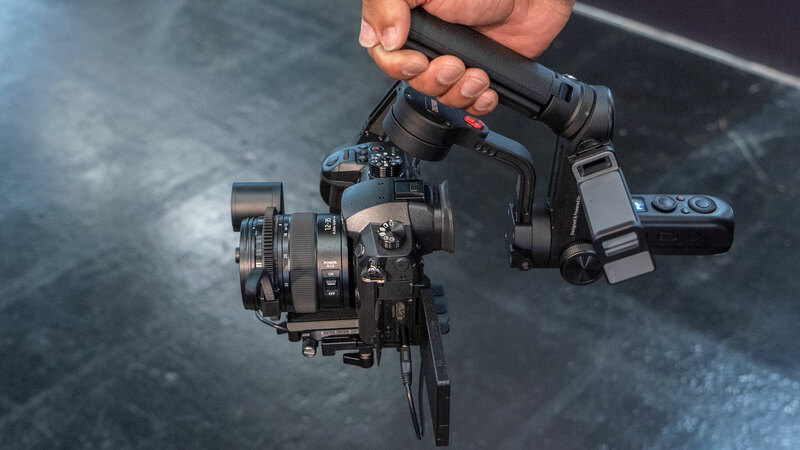 Thanks to the new balancing system and double Arca-Swiss compatible quick release plates, you can make a fast and perfect gimbal setup and save it for the future. It’s the perfect equipment for filmmakers to carry around and start instant shooting anywhere, anytime. 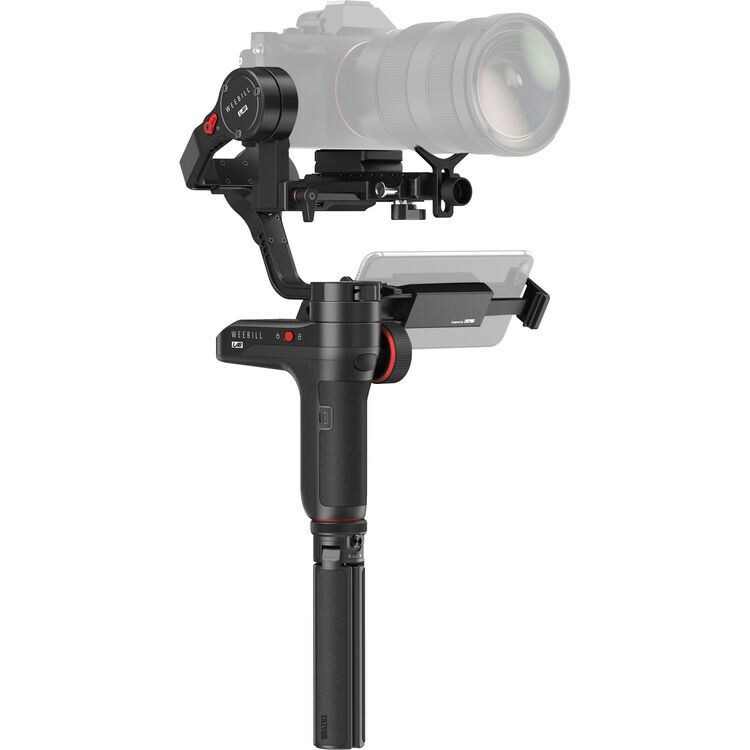 Weebill Lab weighs similar to a phone stabilizer but can handle a large payload of 3 kg, compatible with most popular DSLR and mirrorless camera and lens combos on the market. Folded for storage, it takes up the same space as an A4 sheet! The intuitive interface is helped by an OLED display that shows connection status, battery level, control mode and multiple camera parameters, giving you full control over every detail. The Weebill Lab allows a direct wireless connection to your smartphone or tablet and turns it into a motion sensor controller. By simply moving your phone, you are controlling the gimbal in real time. The phone screen is also used for real-time monitoring, framing and to set parameters in your camera. 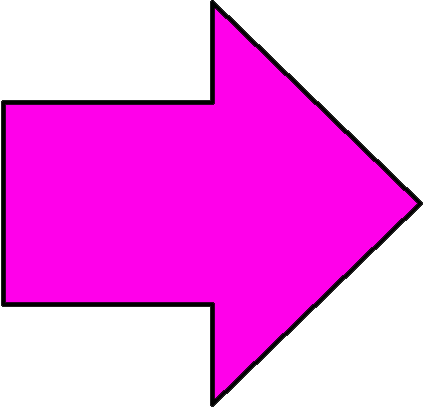 Now you can frame and take shots from any angle at any view! With a single tap on the Go button, your camera is ready to handle extreme sports scenes. The Go mode instantly releases the full potential of all the motors and adjust to faster movements when running or shooting from a moving car/bike etc. Now you can do scene transition as quickly as you wish! Weebill Lab supports various advanced features via the ZY PLAY app (available for iPhone and Android) such as Panorama, Focus Timelapse, Motion Timelapse, Long Exposure Timelapse and more. With three external screw ports, Weebill Lab fits a wider range of accessories in Zhiyun’s Ecosystem, allowing more flexibility and creativity. 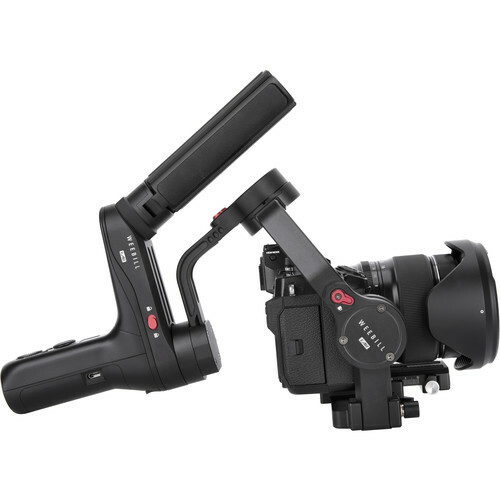 There is also an external follow focus motor available for Weebill Lab, allowing you to get a precise and smooth focus control with all camera systems. With the tactile wheel on its body, you can easily pull focus while moving and shooting.